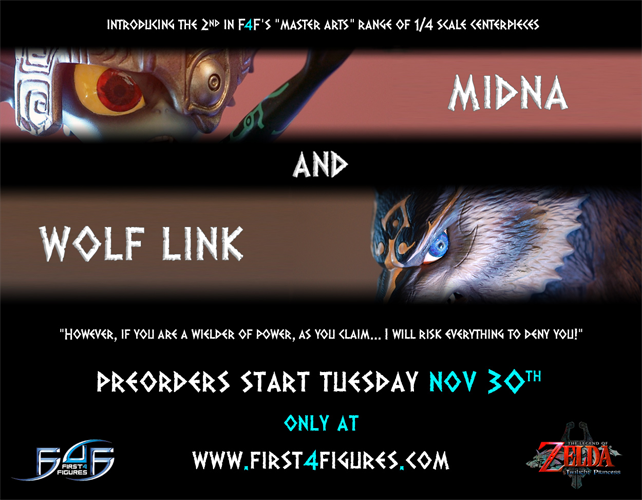 First 4 Figures, a company that makes top-notch collectable figurines, have released a teaser image for a new figurine from their Twilight Princess series of figurines. Pre orders for this newest piece begin on the 30th of November. Just a couple of months ago, the the company released a Zant figurine. A review and detailed look at the Zant figurine from our forum user “basement24” can be seen here. Click here for a full resolution image and be sure to check out the First 4 Figures website for more awesome Zelda figurines. Pretty sweet. eh? The details look amazing, and the piece which will be over a foot tall would look great in any Zelda collection, but will you get it? The price tag on these items can be a bit steep, but I’ve never heard of an unhappy customer. Let us know your thoughts in the comments.